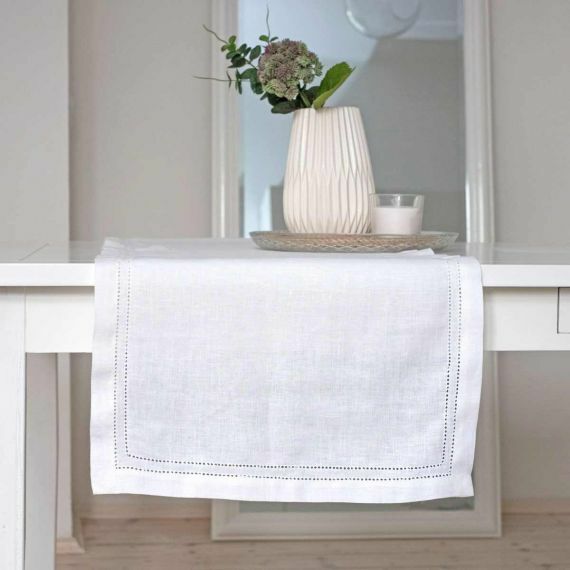 Elbla linen hemstitch table runner in color White will suit any table just perfectly - white goes with almost everything. 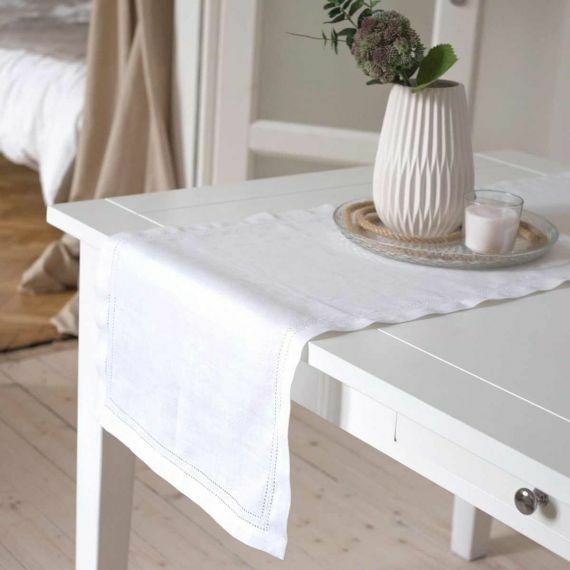 So, no matter what style you prefer, your table surface will be beautifully peeking through the hemstitched detailing of this lovely table runner. White will instantly brighten up the whole room - a great feature for rooms with little light getting into them. 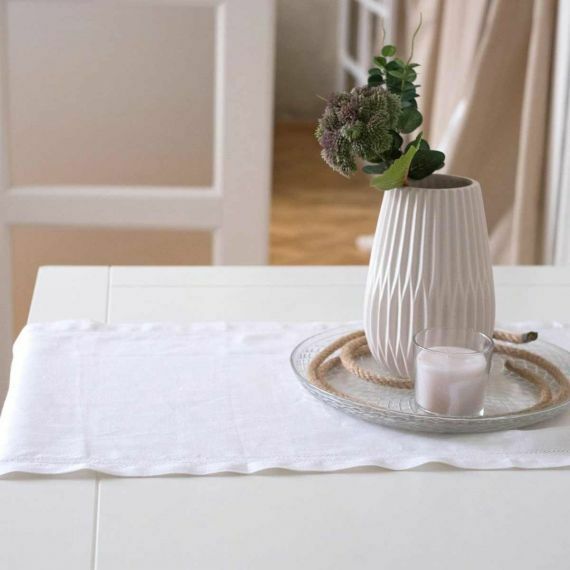 This table runner will look great in the very middle of the table, supporting décor like flower vases or candles, or off to the sides in place of place mats or even along with them. 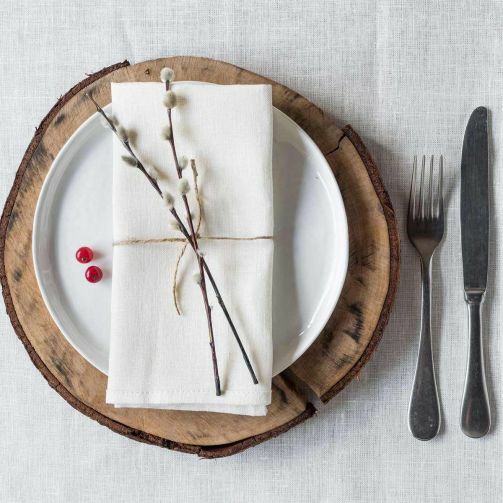 This durable linen table runner may become a great base for any kind of table setting, be it formal or festive.